Visual artist and writer, Susan Leibik, traveled to Ladakh, India, in search of the snow leopard which she relates was a transformative experience. 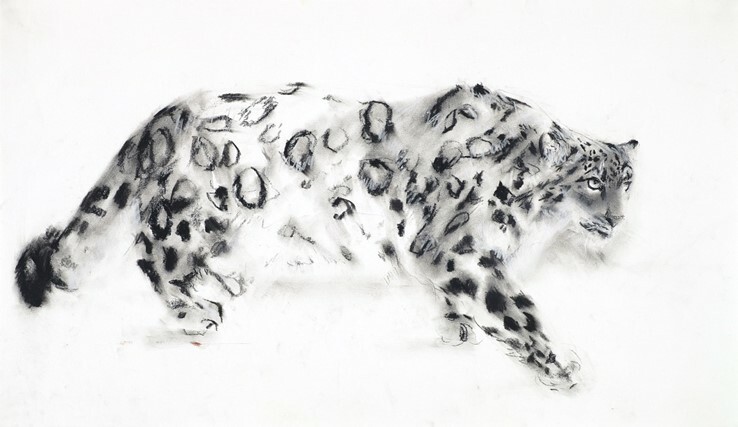 She was able to capture the snow leopard both visually in her charcoal drawing and through the written word. 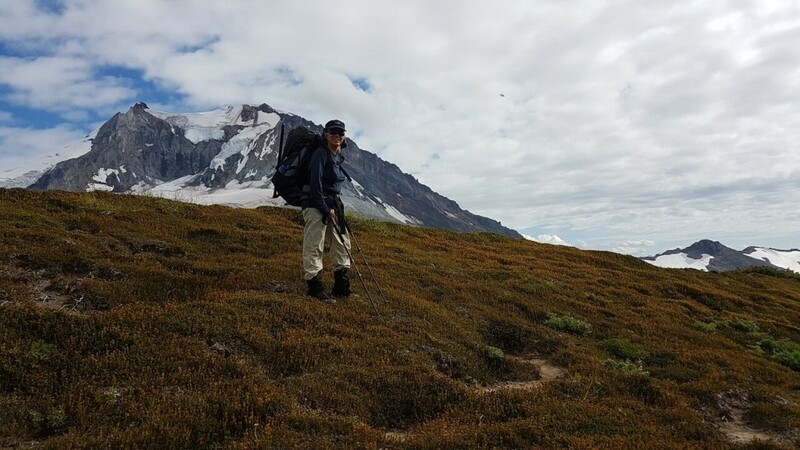 The following is an excerpt from Susan’s article “Shan” as it appeared in the Kyoto Journal 91. Some 80 feet away on a flat throne of rock, the snow leopard sits. Stepping up to the scope, I peer through as if to another dimension. That face, the hidden spirit of the mountains themselves revealed. The snow leopard is sitting atop her kill, the carcass of a blue sheep…Her fur is spotted with dark rosettes along her flank and down her extraordinary long and lush tail. The tawny buff-gold of her coat is luminous, seeming to generate its own rare light. Her face, all the sensory graces of her being converge there; the soft tufts of fur on her inner ears, the unique patterns of spots and ink dark calligraphing curves of marks above her eyes; the broad nose, whiskered muzzle, dark-lipped mouth…Her huge forepaws are resting in front of her, instruments of agility and athleticism. They grip rocks, float through deep snow, and lead her leaps in pursuit of prey. Her eyes are green amber, like some rare and unusual gem. Looking through the scope, she seems to be staring straight back, full on. Her gaze overturns me…I cannot take my eyes away from her mesmerizing presence.